In this day and age, many high schoolers and their parents have had to learn how to deal with each other on social media. “Sometimes you can find out more about them on there than what they will relay to you in person,” high school secretary Amy Swonger said. It is a different way of communication, and it might make kids think twice about what they say. 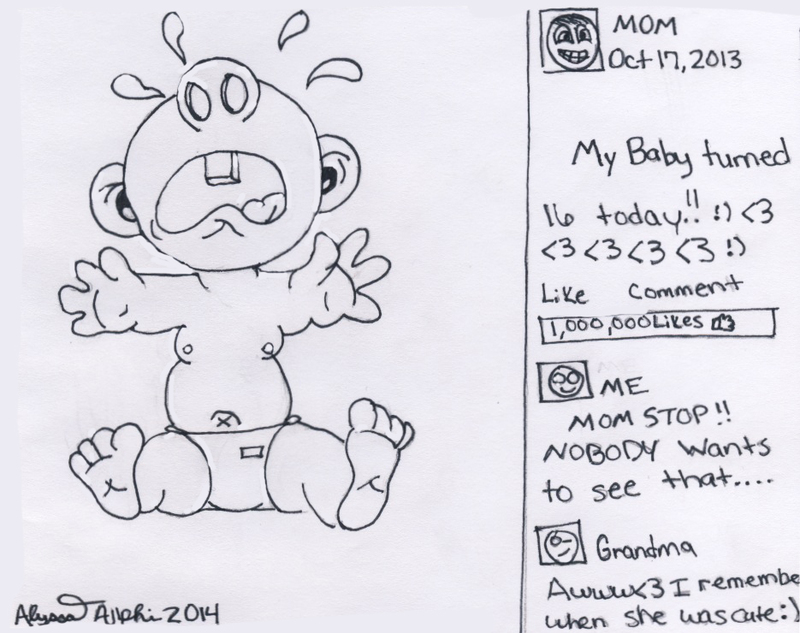 For some, sharing social media sites with their parents doesn’t really matter to them. However, other kids prefer that their parents just stay off of their social media territory. Amy’s daughter Alyssa Swonger said that her mom creeps on her Twitter by typing Alyssa’s name into the Google search bar. This caused Alyssa to make her Twitter private. “I still have other ways of knowing what she puts on there,” Amy said. Parents use social media to keep in touch with old friends and people that they don’t see very often. They also use it to know what is going on, much like a lot of teenagers do. Alyssa thinks her mom goes overboard with creeping on her. Some children like associating with their parents on social media, but others don’t care. Concerning social media, internet safety is important. Angie thinks that all the social media sites are fun when they’re used properly. “I feel fine about it (having the same social media sites as my children) because if it’s not something that they would say to me, then they probably shouldn’t be saying it,” Amy said. As long as parents respect their children’s privacy to a certain degree on social media, I think it’s fine for both parents and kids to have the same kind of social media accounts. Although it is hard to set that boundary, it can be done. However, teenagers need to be careful because the whole world can see what they are posting. If the world can see what is said on the internet, then it shouldn’t matter if your parents see it as well. “As long as they aren’t constantly bugging me or stalking me on these sites, I don’t really care whether they have one or not,” Taylor said.